A record number of filmgoers attended the 13th annual Capital Irish Film Festival last weekend at the AFI Silver Theatre and Cultural Center. Almost 500 audience members gave us written feedback on their impressions of the Festival films. The Drummer and The Keeper, Director Nick Kelly and Producer Kate McColgan, and I, Dolours, Director Maurice Sweeney and Producers Ed Moloney and Nuala Cunningham tied for Audience Favorite. Second in the voting for Audience Favorite was Lomax in Eirinn and the third was Float Like a Butterfly. Among the 6 short films in that category, The Invention, Director Leo McGuigan and Producer Margaret McGoldrick, was the Audience Favorite. The second place among short films was Gra e Eagla (Love and Fear in Irish) and third place was Late Afternoon. You can help your favorite films from the Festival find U.S. distribution by going to IMDb.com and rating them there. Look for our bi-monthly Irish Popcorn! films throughout the year (“Keepers of the Flame” on May 6, 2019, at NYU DC campus 13 and L Sts. NW) and Save The Date for 14th annual CIFF 2020 at AFI, February 28, 29 and March 1, 2, 2020. The Capital Irish Film Festival Starts Today! Feb 28-Mar 3. AFI Silver is excited to host the 13th Capital Irish Film Festival (CIFF), co-presented by Solas Nua. Celebrating Irish identity, culture and artistry, CIFF brings the best in contemporary Irish cinema to the Washington, DC, area. The festival opens with Nick Kelly's crowd-pleasing dramedy THE DRUMMER AND THE KEEPER and closes with stirring documentary LOMAX IN ÉIRINN, a look at American ethnomusicologist Alan Lomax's role in preserving Ireland's folk music heritage. Other highlights include FLOAT LIKE A BUTTERFLY, winner of the FIPRESCI Prize at the 2018 Toronto Film Festival; found-footage chiller THE DEVIL'S DOORWAY, with director Aislinn Clarke in attendance; and DON'T LEAVE HOME, Ireland's answer to GET OUT, with director Michael Tully in attendance; and highly anticipated horror THE HOLE IN THE GROUND, fresh from Sundance. Northern Irish actor Lalor Roddy (GAME OF THRONES) is set to attend the festival to discuss his roles in three of this year's selections – THE DEVIL'S DOORWAY, FLOAT LIKE A BUTTERFLY and DON'T LEAVE HOME. CIFF is proudly supported by IFI International, Culture Ireland and Arts Council Ireland. A PRE-SCREENING PRESENTATION WILL BEGIN AT 5:15 P.M. SUNDAY, MARCH 3RD, FEATURING A DISCUSSION WITH TRADITIONAL SINGER MELISSA WEAVER DUNNING AND SOLAS NUA INC. CHAIR PADDY MESKELL. MESKELL AND DUNNING WILL DISCUSS THE JOURNEY OF IRISH MUSIC AND SONG UP TO THE PERIOD THAT IS THE FOCUS OF LOMAX IN ÉIRINN, AND DUNNING WILL ILLUMINATE THE CONVERSATION WITH A SELECTION OF OLD IRISH SONGS. Post-screening Q&A with Dr. Todd Harvey, Folklife Specialist and Curator of the Alan Lomax Collection at the American Folklife Center at The Library of Congress, and Paddy Meskell, Solas Nua Inc. Chairman of the Board, followed by a reception in the lobby sponsored by Solas Nua Inc.
IFTN caught up with Cartoon Saloon’s Louise Bagnall to find out more about her Academy Award® nominated animated short film ‘Late Afternoon’ ahead of her trip to LA for the Oscars ceremony, which takes place on Sunday, February 24th. Written and directed by Cartoon Saloon’s Louise Bagnall, and produced by Nuria González Blanco, the hand-drawn digitally animated film was produced by the Kilkenny-based animation studio behind Oscar-nominated animated features ‘The Secret of Kells’, ‘Song of the Sea’ and ‘The Breadwinner’. It was funded under the Screen Ireland and RTÉ joint-funded Frameworks short film scheme. The 9.5 minute film is a poignant examination of identity and memory loss through the eyes of Emily, an elderly woman journeys into her past, reliving moments from her life and searching for connection within her fragmented memories. Renowned Irish actress Fionnula Flanagan, who worked with Cartoon Saloon on 2014’s ‘Song of the Sea’, voices the lead character, Emily. The music for the film is by Colm Mac Con Iomaire. A Creative Director at Cartoon Saloon, Louise graduated from IADT, National Film School with a degree in Animation in 2007. She has designed characters for International Emmy nominee ‘Puffin Rock’ and worked on the Oscar-nominated features ‘Song of the Sea’ and ‘The Breadwinner’. She has directed a number of other short films including ‘Donkey’, ‘Loose Ends’ and ‘Cúl An Tí’. She is currently working as Assistant Director on Cartoon Saloon’s upcoming feature film ‘My Father's Dragon’, directed by Nora Twomey. ‘Late Afternoon’ won the IFTA Award for Best Animated Short in February 2018, and has gone on to screen at over 80 festivals worldwide to date, securing many further awards and an Oscar-qualifying win for Best Animated Short at the Tribeca Film Festival. IFTN journalist Nathan Griffin spoke with Louise ahead of her trip to California. IFTN: Congratulations on the Oscar nomination. You were over in LA last week and scheduled to head back again this week. How has the experience been since the news of the nomination? IFTN: You have previously worked on features such as ‘The Breadwinner’ and ‘Song of the Sea’. How did the experience of working on your own project differ from previous projects you've worked on? IFTN: It's an incredibly poignant subject matter. Can you tell me a little bit about the inspiration behind it? IFTN: Fionnula Flanagan features as the voice of Emily in the film. How did she get involved in the project? IFTN: Late Afternoon has become the flagship for the Screen Ireland Frameworks scheme having come through its ranks. Can you tell me a little bit about how you and Nuria first decided to apply for the scheme and how you guys got together? IFTN: Colm Mac Con Iomaire's score is fantastic and almost interacts like a character in itself. Can you tell me about the process of developing that music and how much of an importance you placed on it? IFTN: So the music was evolving throughout the development of the project. 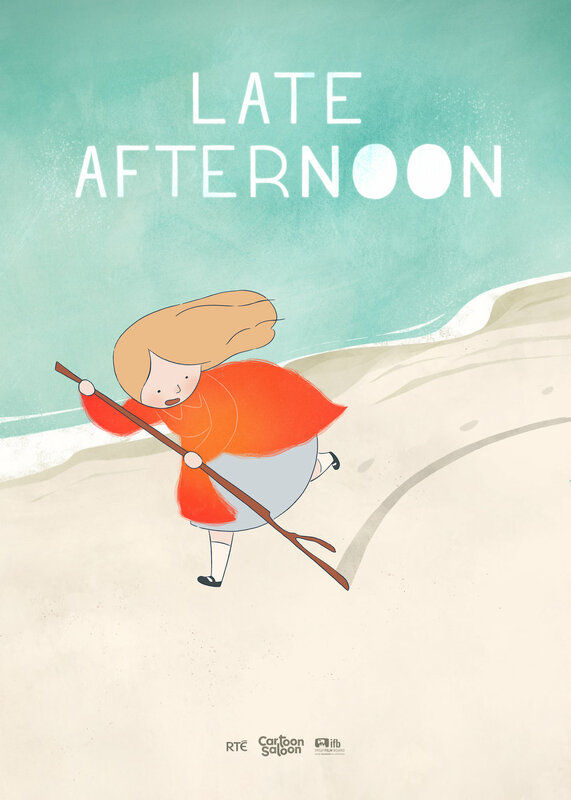 Cartoon Saloon’s ‘Late Afternoon’ will compete at the 91st Academy Awards in Los Angeles, California on Sunday, February 24th. Belfast native is star of many stages and screens large and small. In the 13th annual Capital Irish Film Festival, you can catch up with Lalor Roddy in three films: “The Devil’s Doorway” (Friday), “Don’t Leave Home” (Saturday) and “Float Like a Butterfly” (Sunday). You will have the opportunity to ask him how he does it in audience talkbacks or in a quiet word at receptions during the festival. See him with Solas Nua Chair Paddy Meskell on Thursday, February 28, on the popular morning talk show “Great Day Washington” with Markette Sheppard. Roddy, who trained and worked as a psychologist, took up acting relatively late, when he performed as Gandalf in a youth theatre production of The Hobbit at the age of 33. He has built a remarkable career on stage and screen – both big and small. He was a founder of Tinderbox, worked with the Lyric and Abbey theaters and several times with the Royal Shakespeare Company. 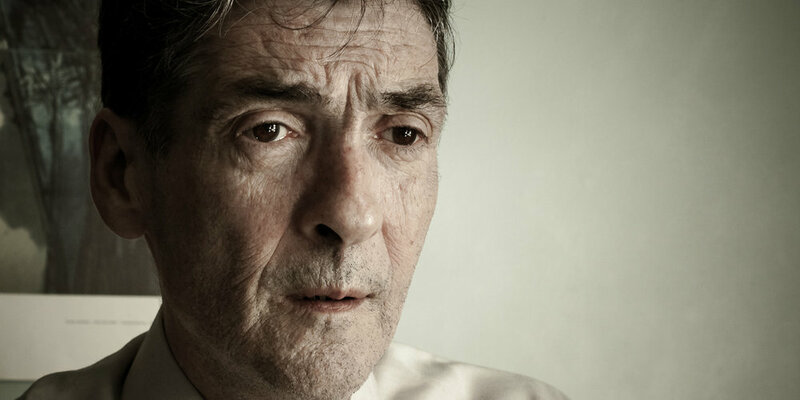 He won the ESB/Irish Times Award for Best Supporting Actor for his part in In a Little World of Our Own. Roddy’s recent filmography FLOAT LIKE A BUTTERFLY, DON’T LET GO, END OF SENTENCE, WREN BOYS, KISSING CANDICE, MICHAEL INSIDE, MAZE, ZOO, THE DEVIL’S DOORWAY, SEAMUS, BAD DAY FOR THE CUT, DIGS FOR PENNIES, FRACTURED CITY, THE TRUTH COMMISSIONER, TODAY, QUARENTINE, LOST IN THE LIVING, INSULIN, THE LIGHT OF MY EYES, ROBOT OVERLORDS, THE SEA, TWO DOGS CAGED, MADE IN BELFAST, EXPOSURE, COWBOYS AND DISSIDENTS, THE GOOD MAN, SODA THE GIRLS, JUMP, GRABBERS, EVEN GODS, THE SHORE, YUKI. The writer-director of Don't Leave Home tells the frustrating, improbable story of how his fifth feature (finally) came to be. My previous feature, Ping Pong Summer, world premiered at the 2014 Sundance Film Festival. I’m firmly convinced that if I had shown up in Park City ready to go with the script and cast for my follow-up project, Don’t Leave Home, we would have been in Ireland shooting the movie that fall. Alas, every piece — aside from the title and a desire to shoot in Ireland — was very much not in place, and so began a frustrating four-year journey. Considering I’d been dreaming of making Ping Pong Summer for 20 years before it finally happened, four years might seem like a quick little snap of the fingers. But when you’ve directed four features already and think your “career” should be getting at least somewhat easier along the way, four years feels like a soul-depleting eternity. That said, I can’t take full responsibility for the film not coming together sooner. Initially, our plan was for a sturdy seven-figure budget and an A-list cast (sound familiar? ), but as time went on, I and the rest of the producing team decided to take a different approach: let’s trust the material, cast the best actors for the part, and raise enough money needed to get the job done. That would make things easier! Back in 2014, we were lucky enough to receive development funds, which allowed me to write the script and also travel to Ireland to scout locations with my main producer George Rush and other producers and investors along the way. For the first few years, we were determined to shoot in Sligo, but that was outside the Dublin zone, which would have meant housing all the cast and crew and paying per diems and travel. Which is another way of saying: we didn’t have enough money to shoot in Sligo. Until the spring of 2017, we didn’t have enough money to shoot anywhere. Anytime in those first few years when the film felt close to happening, one of our attached producers at the time — who was tasked with raising half of the budget — expressed a nonchalant arrogance that the money was already in the bank. But when deadline day arrived … zilch. It should be noted that this person was born into extreme privilege and didn’t understand how pushing the movie back several months actually was a big deal for someone like myself who didn’t have a trust fund or a full-time job (how could I commit to a full-time job when I was supposed to be in Ireland shooting a movie in the very near future?!) and who wasn’t a sociopath by nature and therefore felt sick to my stomach having to call several trusted collaborators who had turned down other work and tell them, yet again, that I was deeply sorry but the movie was not, in fact, happening. Meet Aislinn Clarke, a filmmaker, scriptwriter, and lecturer at the Seamus Heaney Centre at Queen's University Belfast. 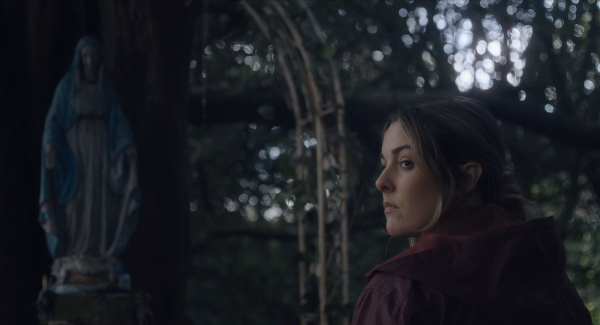 Clarke's first feature film - which holds the dual distinction of being the first feature horror film written and directed by an Irish woman - will be released in the US by IFC on July 13, and it could not be more timely. The Devil's Doorway is based upon the very real horrors of Ireland's Magdalene Laundries, where, from 1765 to 1996, women who became pregnant outside of marriage were hidden away and subject to grueling labor and abuse by the Catholic Church. What unholy terrors lurk behind the walls of a secretive Irish convent? Northern Ireland, 1960: Father Thomas Riley (Lalor Roddy) and Father John Thornton (Ciaran Flynn) are dispatched by the Vatican to investigate reports of a miracle—a statue of the Virgin Mary weeping blood—at a remote Catholic asylum for “immoral” women. Armed with 16mm film cameras to record their findings, the priests instead discover a depraved horror show of sadistic nuns, satanism, and demonic possession. Supernatural forces are at work here—but they are not the doing of God. Inspired by the infamous true histories of Magdalene Laundries—in which “fallen women” were held captive by the Irish Catholic Church—this found footage occult shocker is a chilling encounter with unspeakable evil. Clarke was recently in New York to speak at the New York, New Belfast conference on the future of Belfast and its creative industries. IrishCentral was lucky to have a few minutes to hear more about her journey as a filmmaker and what's next. Lost & Found will be screened at the Capital Irish Film Festival, Friday, March 1 at 5 p.m.
“Lost & Found” is a feature film with seven interconnecting stories set in and around the lost and found office of an Irish train station. All segments are inspired by true stories, share a theme of something lost or found and have characters that come in and out of each other’s lives. It was filmed in seven segments of three to four days per annum over a five-year period from 2011 to 2016 in Ireland. I spent the first six months each year researching the stories and characters, three months working on the script and three months was spent on the production itself from prep, to filming to post work. A good part of the year was also spent looking for and raising money to cover the next film segment. Each year, we brought in most of the key production team and core crew three to four weeks before the filming began, depending on how many segments were to be filmed. Each year’s segments were only done after the previous one or ones were paid for and finished. Doing it over this long period gave me a lot of time to think about all the different stories, characters and ways to interweave them together in the overall project. “Lost & Found” completed principal photography in Summer 2016 and post- production in April 2017. The ensemble cast includes: Norma Sheahan (“Moone Boy”, “Handsome Devil”), Liam Carney (“Red Rock”, “Outlander”), Aoibhin Garrihy (“The Fall”), Anthony Morris (“Games of Thrones”), Liam O Mochain (“Covet”, “WC”), Seamus Hughes (“Jimmy’s Hall”), Olga Wehrly (“Without Name”), Brendan Conroy (“Vikings”), Barbara Adair (“Ripper Street”, “Grabbers”), Tom O Suilleabhan (“Maze”, “Fifty Dead Men Walking”), Diarmuid Noyes (“Borgia”, “Killing Bono”), Lynette Callaghan (“Cold Feet”), Daniel Costelloe (“Albert Nobbs”, “Magdalene Sisters”) and Donncha Crowley (“Fr. Ted”). The creative team behind “Lost & Found” are writer/director Liam O Mochain (“WC”, “The Book That Wrote Itself”), producer Bernie Grummell (“WC”, “The Book That Wrote Itself”), DoP Fionn Comerford (“Penny Dreadful”, “Vikings”, “Roy”), production designer David Wilson (“Omagh”, “Some Mother’s Son”), sound Niall O’Sullivan (“Frank”), Philippe Faujas (“Eden”, “Pure Mule”), make up and hair Caoimhe Arrigan (“Death of a President”, “Stella Street”), editor Ciara Brophy (Oscar-nominated “The Crush”, “Savage Eye”), 1st AD/Co Producer Eamonn Norris (“Ros na Run”) and composer Richie Buckley (“WC”, “The General”). “Lost & Found” is O Mochain’s third feature film. He has also made numerous short films, documentaries and TV shows. His 2007 feature film “WC” won Best Foreign Film at Las Vegas International Film Festival and Best Film at the Waterford Film Festival. “WC” also screened at Montreal World Film Festival, Galway, Dublin, Arizona and the Cairo International Film Festival. His debut feature film “The Book That Wrote Itself”garnered a lot of international interest, had its world premiere at the 1999 Galway Film Fleadh, international premiere at the 1999 Vancouver International Film Festival and went on to acclaim at many film festivals worldwide. Fortune, his first short film, won best short film at the1998 Worldfest Houston International Film Festival. His short film “Covet” was long-listed for an academy award in 2013. Ed Moloney will be interviewed by Niall Stanage, associate editor and White House columnist for The Hill, after the 5:45 p.m. showing of the film on Saturday, March 2, at the Capital Irish Film Festival. The origins of this film on the life of the late Dolours Price – directed by Maurice Sweeney and produced by New Decade TV – lie in an interview that she gave to the Belfast daily, The Irish News in February 2010, in which she spoke, for the first time publicly, about her part in the saga of the IRA ‘disappeared’. That interview set in motion a cascade of crises that culminated in an agreement between herself and myself in which she made a promise not to reveal any more about the ‘disappeared’. In return she would record her story on tape and video and it would not see daylight until she died. That way the truth could eventually be told without causing harm to herself. Before the interviews began Dolours was given the opportunity to exclude subjects she did not wish to speak about at all or fully in her interviews, matters that she did not want her family to know about. She chose ‘the disappeared’ as one of those subjects. 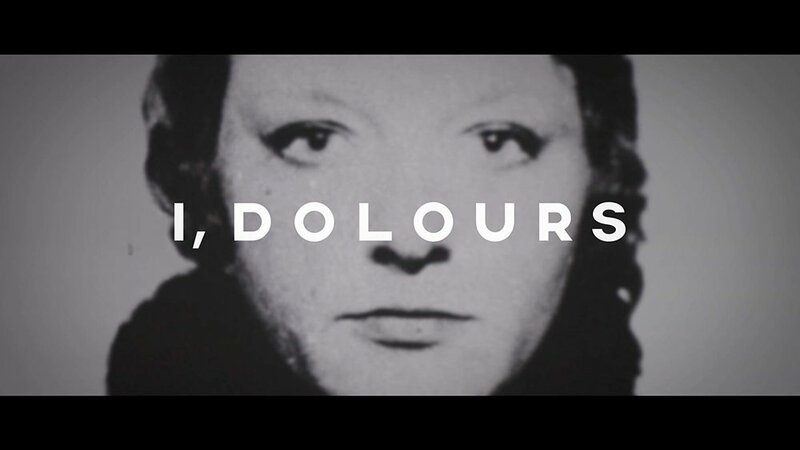 The result is this film, ‘I, Dolours’. end its campaign and decommission its weaponry. Grave’ - the story of two combatants, Brendan Hughes of the IRA and David Ervine of the UVF. York where he moved to from Belfast in 2001. Award-winning film “The Drummer and the Keeper” is Nick Kelly’s first feature. Writer/ director Nick Kelly will join Solas Nua and the American Film Festival at the opening of the 13th annual Capital Irish Film Festival. Produced by Calico Pictures and inspired by Nick’s experiences as both a rock musician and the parent of a child with Asperger’s Syndrome, his first feature The Drummer And The Keeper premiered at the Galway Film Fleadh in July 2017, where it won Best Irish First Feature. After a successful Irish theatrical release it was selected for the BFI London Film Festival, and won Best Feature at the Irish Film Festival London in November 2017. The Drummer And The Keeper was nominated in 5 categories at the 2018 IFTA Awards, including Best Screenplay for Nick’s script, with Jacob McCarthy winning the prestigious Rising Star for his portrayal of Christopher. Nick was one of three screenwriters nominated in the Best Feature Script section of the Irish Writer Guild’s annual ZeBBie awards 2018. To date The Drummer And The Keeper has also won the Roxanne T. Mueller Audience Choice Award for Best Film at the Cleveland International Film Festival, Best Foreign Film at the Newport Beach Film Festival, the Silver Award in the Score Bernhard Wicki Preis for Best Film at the Emden-Norderney International Filmfest, Best Feature at the Umbria Film Festival, the Special Jury Prize at Filmfest Bremen, Audience Award for Best Feature at the Eureociné Film Festival Nantes, and both the Audience Award and Young Jury Award at the Semaine Du Cineam Britannique in Bruz. Nick was awarded Best Director at the Breaking Down Barriers International Film Festival Moscow. Nick Kelly began writing and directing award-winning short films in 2003, culminating in his third short Shoe being shortlisted for an Oscar nomination in 2011. Having qualified as a solicitor and given up his legal career the same day, Nick’s working life has been devoted to creative endeavours. In addition to his work in film, he is a Clio-winning advertising creative, a Choice Music Prize-nominated musical artist and an Ian St. James Award-winning short fiction writer. No need to rely solely on Netflix, these U.S.-based Irish film festivals are working to bring all the hottest new big-screen gems to an American audience. IrishCentral readers are certainly film lovers and jump at the chance to stream the latest Irish hit but for many of you, there is access to great Irish movies on your own front door. Here, Pat Reilly of the Capital Irish Film Festival in D.C. explains how audiences even within Irish America differ from each other and how collaboration is key to bringing the best of Irish film stateside. The Capital Irish and Chicago Irish Film Festivals met over a crisis. I still had my training wheels on four years ago as director of the Capital Irish Film Festival (CIFF). Showtime was the first weekend of March, and right after a successful opening night, I heard from “the other CIFF,” the Chicago Irish Film Festival. The same weekend, same acronym, and not surprisingly, many of the same films. The one we had just opened with the night before in Silver Spring, MD, had not made it from Ireland to Chicago for their festival. I had the only copy this side of the Atlantic. The American Film Institute Marquee used by the Capital Irish Film Festival. Chicago’s Jude Blackburn had almost two decades of experience running a film festival, but that couldn’t guarantee the Irish mail service. I overnighted my copy of the film, impressed that Chicago had an account with FedEx! While we checked in frequently to track its progress, we promised to share a whine over a glass of wine when it was over. It turned out that would only happen in Galway several years hence. Along the way, though, we traded information, shared guests and compared audience tastes. The Washington-area audience enjoys films exploring Irish history and culture and will turn out in large numbers for “political films,” or ones about church scandals. Chicago “has moved towards indie or edgier films like ‘The Survivalist’, ‘Traders’ and ‘Writing Home,’” says Blackburn. And despite the Irish reputation for having fun, great comedies are hard to find and we hunt for them like snipes at a full moon and feel blessed when we get a good one for the festival. This year, the Capital-area CIFF opens with a dramedy “The Drummer and the Keeper” and a talkback with director Nick Kelly. We’ll celebrate with a reception hosted by The Embassy of Ireland. The Capital’s CIFF has long enjoyed the support of Culture Ireland (CI), the Irish government ministry whose mission it is to support the spread of Irish culture worldwide. CI funds the travel of filmmakers to festivals, one of the favorite festival features for artists and audiences. 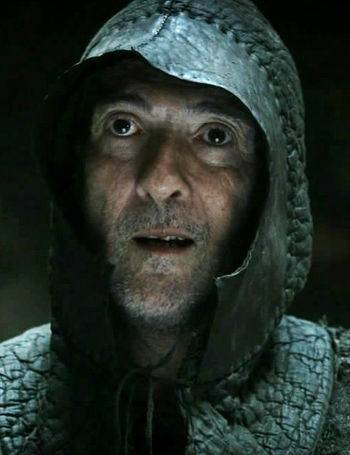 This year, we’re excited to have one of the busiest Irish actors around, Lalor Roddy, whose range has him acting on stage with the Lyric, the Abbey and the Royal Shakespeare and also playing the Catspaw Assassin in HBO’s “Game of Thrones.” He stars in three of our festival films, “The Devil’s Doorway” (priest), “Don’t Leave Home” (priest again) and “Float Like a Butterfly” (traveler grandfather). With a little bit of schedule jiggering, I can bring artists from Ireland to D.C. early in the weekend and then route them through Chicago by Sunday, and vice versa. Capital Irish has the help of Caddie Tours, a local travel company that makes artists’ flight arrangements pro bono. That acts like aspirin for organizers. In recent years, thanks to the smashing box office success of Irish films like “The Favourite,” “Room,” “Brooklyn” and the phenomenal “Game of Thrones,” Irish films, filmmakers and actors are in high demand. Films go more quickly to international distributors or video on demand so that film festivals largely run by volunteers on sparse budgets rely heavily on the Irish Film Institute, the Arts Council and Screen Ireland to help us get the attention of filmmakers who are holding out for Sundance or, better yet, an Oscar nod. My CIFF is part of a group in the Washington, D.C., area, Solas Nua (new light in Irish), a non-profit dedicated to multi-disciplinary contemporary Irish arts. As a member of the board of directors, I coordinate with a theater arts director, a visual arts director, a book club, a poetry series and a range of musical presentations from all over Ireland. Blackburn and her board of directors are all about film and receive hundreds of films each and have a panel of reviewers to create a diverse program of films. While Chicago has used the beautiful Logan and Gallery Theatres for years and now Theatre on the Lake, an incredible space for their opening night gala and screening, Capital Irish has partnered with the American Film Institute, which specializes in international film festivals and operates the AFI Silver Theatre and Cultural Arts Center in suburban Silver Spring, MD. The partnership has brought us theaters, a spacious lobby for parties and a staff of film aficionados to help with everything. AFI’s massive art deco marquee can put Irish filmmakers’ names in lights for the run of their shows, which sends some first-time filmmakers into orbit. If you are within reach of our festivals, why not come out and see some amazing films and meet the filmmakers before they get that Oscar nod. To see the full program and buy tickets go to Capital Irish Film Festival or Chicago Irish Film Festival.